Valentine’s Day is right around the corner and what better way to celebrate than with some pretty party blowers in festive lip shapes?! 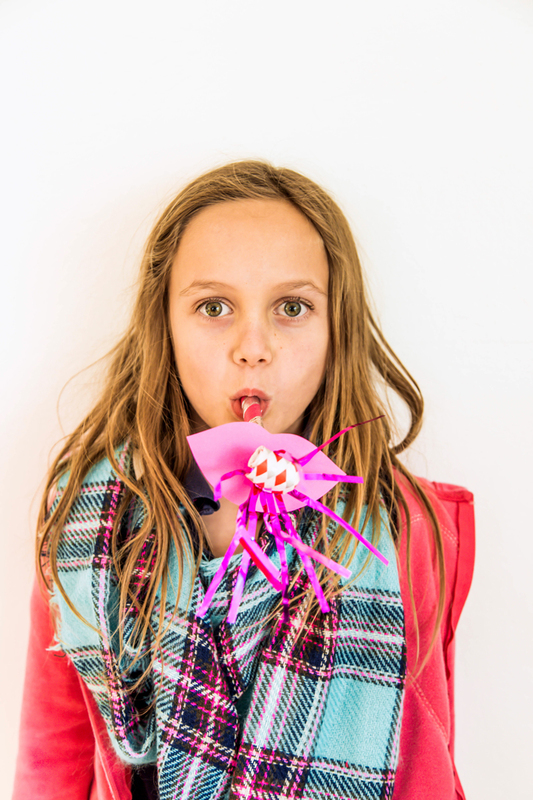 These party blowers are simple to make and definitely add some fun flair to a party. You can do whatever color combinations you like, maybe adding in some reds, magentas, or purples, but obviously ours are going to be pink! 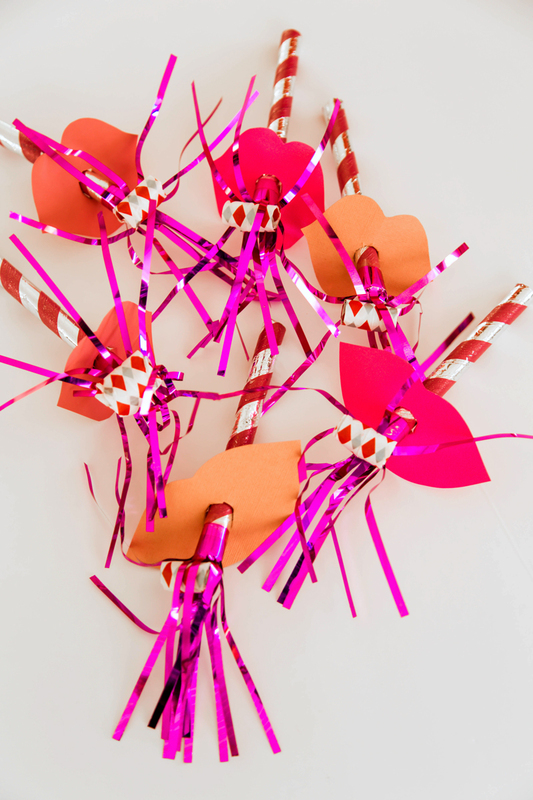 These big lips party blowers aren’t only a fun way to add some party pizzazz, they can even be handed out to friends as Valentine’s, along with a little something sweet to celebrate the special day. 1. 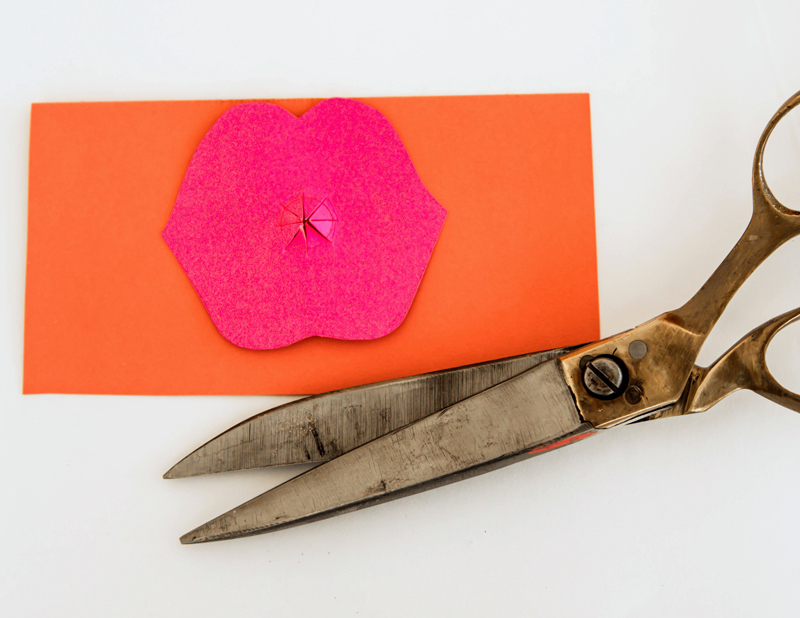 Draw a few fun lip shapes into the paper and cut them out. 2. Trace the end of the blower at the center of the lips. 3. 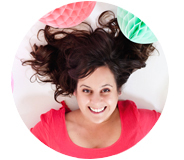 Using an exacto knife cut through the circle 3-4 times like you’re cutting a bunch of cake pieces. 4. Push your finger lightly through the center at the front of the paper to help the paper bend a little bit. 5. Slide the blower through the front of the lips and position about 2” from the beginning of the blower. 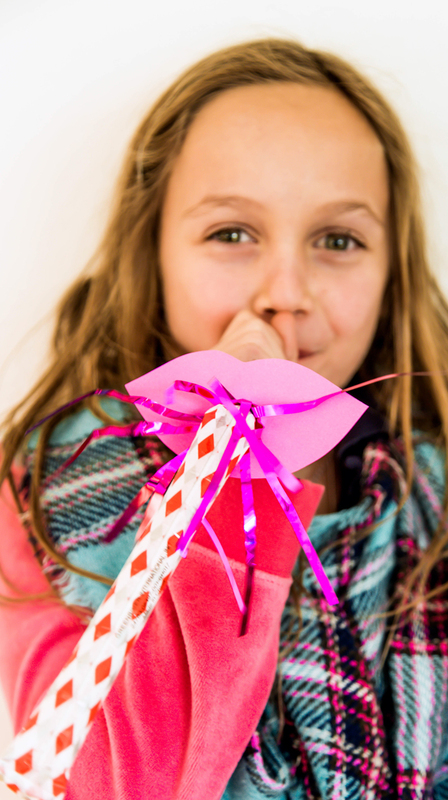 And don’t forget the best part…test out your big lips party blowers with a festive “toot toot!” My daughter had so much fun helping create and play with these blowers. 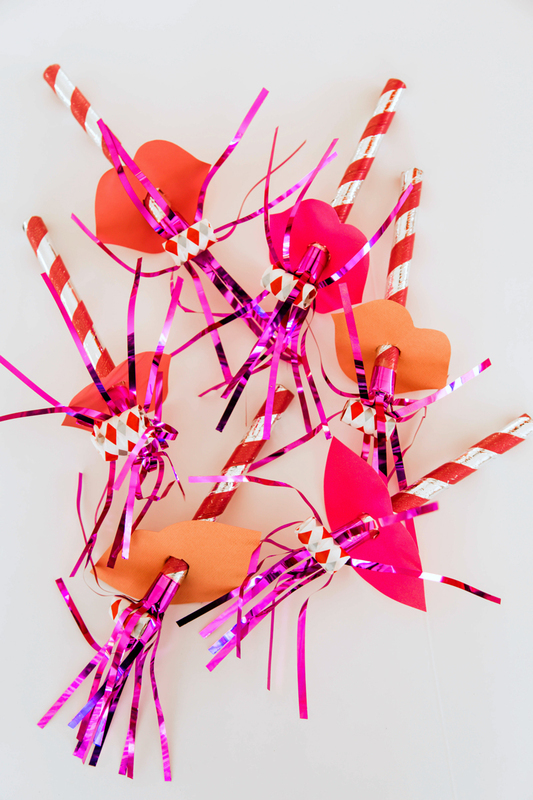 Grab your kiddos or gal pals and get crafting this Valentine’s season, then share with us how it went! PS.. 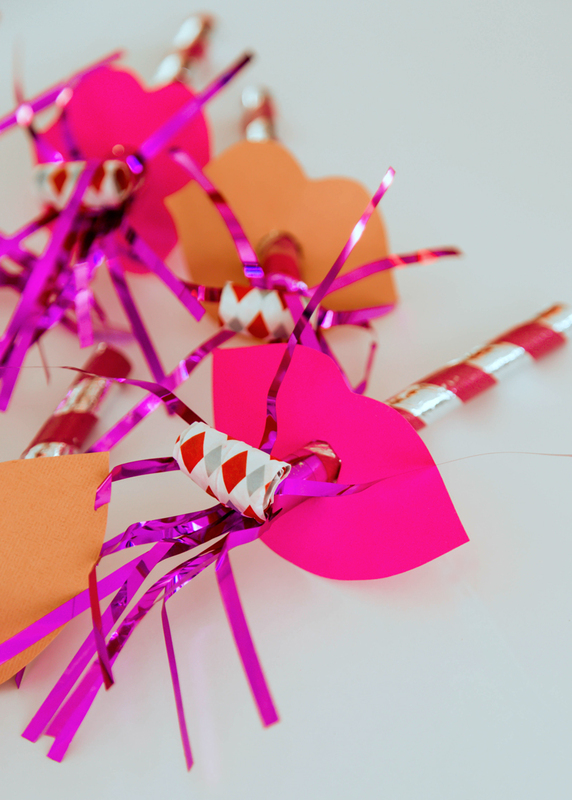 Check out these cute valentine day balloons!